Justice Charles Evan Hughes' famous aphorism, that a dissent is an "appeal to the brooding spirit of the law, to the intelligence of a future day", has passed into legend. It was famously invoked by Justice H.R. Khanna, while concluding his dissent in the Habeas Corpus case. But sometimes, a dissent is not limited to a footnote in the judicial lore of a nation, waiting for the years to pass by until the "intelligence of a future day" dawns. Sometimes, like the swallow flying south, a dissent becomes part of the global migration of ideas. It finds fertile soil far from home, there to bloom into the full richness that it has been denied in its own native environment. Earlier this week, the Supreme Court of Jamaica struck down the Jamaican National Identification and Registration Act ["NIRA"]. The NIRA was a law that mandated the collection of biometric information from all Jamaican residents, and its storage in a centralised database. The similarities with Aadhaar are immediate and clear, and indeed, a substantial part of the judgment(s) were focused on comparisons between NIRA and the Aadhaar Act, and the Indian Supreme Court's judgment in Puttaswamy. 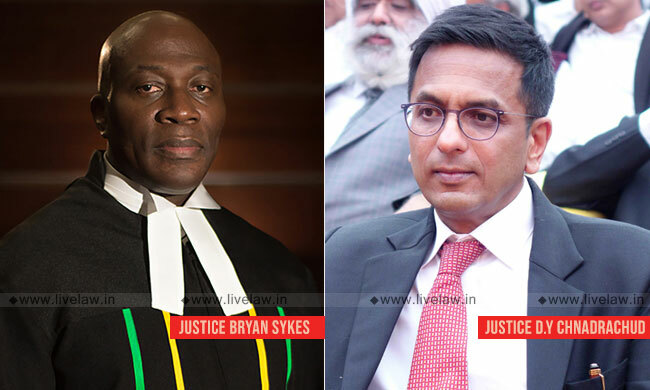 And what is striking about the judgments of Chief Justice Sykes and Justice Batts is that, after a detailed and painstaking engagement with Puttaswamy, both judges held that, on multiple counts – on the application of the proportionality standard, on the articulation of freedom and privacy, on the dangers of centralised databases, and on the shape and design of data protection frameworks, it was Chandrachud J. 's dissenting opinion that was persuasive, and deserved to be followed. The NIRA, accordingly, was struck down as unconstitutional. As the sketchy description outlined above indicates, NIRA and Aadhaar bear substantial similarities. Indeed, these similarities went beyond the collection and storage of biometric information, and extended to the design of the enactments: like Aadhaar, NIRA established a centralised database ["NCID"], a centralised authority to deal with collection and storage, contained provisions for private party access, had provisions for when data could be accessed, and so on. Furthermore, the justifications offered by the State were remarkably similar: preventing and eliminating crime, preventing corruption (FATCA was cited as well! ), streamlining delivery of benefits, facilitating ease of identification, and so on. At the same time, however, there were some substantial formal differences between NIRA and Aadhaar (why I use the word "formal" will become evident immediately hereafter, to anyone familiar with how Aadhaar actually works in practice). First, enrolment under the NIRA was legally mandatory, on pain of criminal sanctions; secondly, information collected under NIRA was substantially more than that collected under Aadhaar (it included blood samples, for example); and thirdly, third parties had formal access to the database under NIRA. I begin with Batts J. 's judgment, because of its focus on one straightforward and clear principle, which was also at the heart of Chandrachud J. 's dissent: the primacy of individual choice in a constitutional democracy, and how meaningful choice is at the heart of any understanding of human freedom. The "choice", in this case of course, involves the right of the individual to choose how to identify herself to the State, from among a range of reasonable alternatives. What the Chief Justice understood – and what Chandrachud J. had understood in his dissent – was, of course, the existential peril posed to freedom and privacy that stemmed from merging silos of information, and the ways in which that could be used to generate entirely new sets of information, as well as facilitate profiling. As the Chief Justice observed, devastatingly, "respectfully, the majority in Puttaswamy (September 26, 2018) did not seem to have a full understanding of this and its implications in the say that has been demonstrated by Dr Chandrachud J." (paragraph 238) On the basis of this bedrock of analysis, then, the Chief Justice went on to hold that NIRA unjustifiably and disproportionately impacted privacy. And in the course of his analysis, he also echoed Batts J., noting – crucially for our purposes – that "the most remarkable thing is that no submission was made to indicate how, for example, a voluntary scheme would prevent the state from providing reliable, safe and secure identification to its citizens or ordinary residents who wish to be part of the scheme." I adopt the following paragraph from his Lordship's judgment at paragraph 236 and apply with such modifications are necessary for application to NIRA. His Lordship stated: An independent and autonomous authority is needed to monitor the compliance of the provisions of any statute, which infringes the privacy of an individual. (paragraph 247(88)). The Chief Justice set out his conclusions from paragraphs 245 to 254, striking down substantial portions of the Act, and then holding that they could not be severed – and therefore, the statute as a whole had to fail. Like the judgment of Batts J., the Chief Justice's judgment is a fascinating study in its own right – in particular, in its assessment of the specific details of the NIRA system, in how it deals with the probabilistic character of biometric identification, the articulations of standards and burdens, the discussion of proportionality and the rebuttal of the State's arguments that the Court must stay out of policy domains, and – very interestingly – in its disagreement with Bhushan J. 's concurring opinion on Aadhaar, on whether "national security" could be a ground to divulge personal information. Refreshingly, the Chief Justice held that the use of such terms was nothing more than a "Trojan Horse", which would make the entire point of protecting fundamental rights illusory. Gautam Bhatia is a Delhi based Lawyer and author of "The Transformative Constitution: A Radical Biography in Nine Acts"